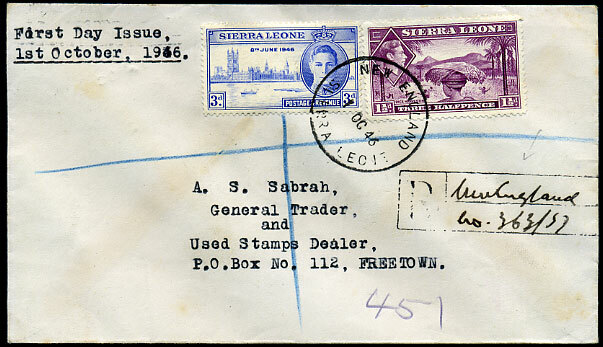 (119.02) dated 1 OC 46 on reg. 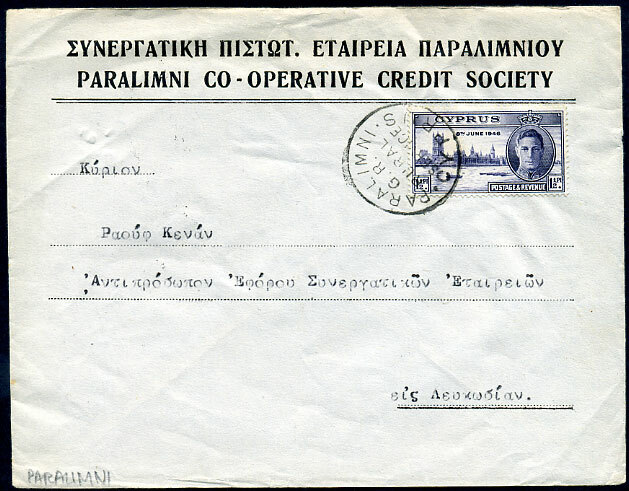 locally addressed FDC with KG6 1½d and 3d Victory. 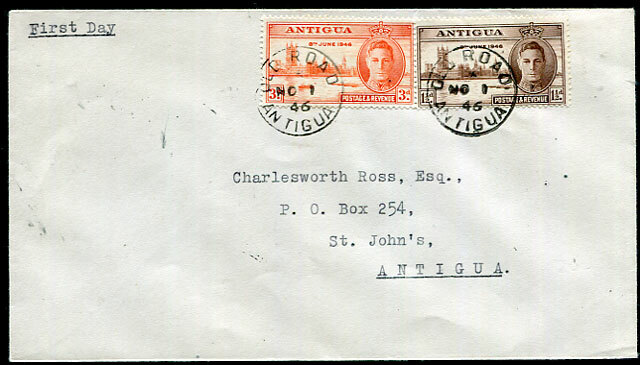 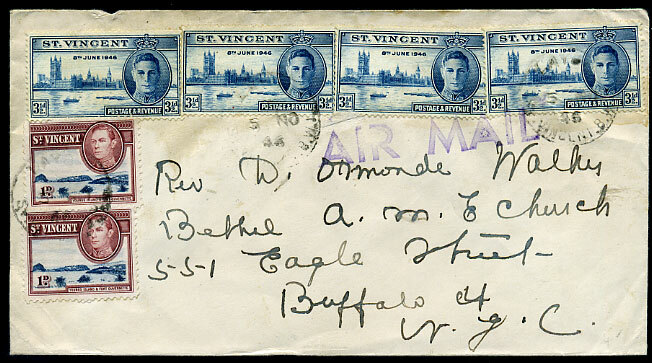 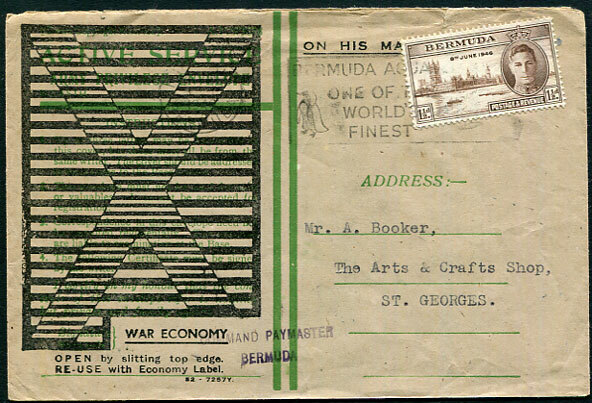 cover with poor strikes dated */5 NO 46, b/stamped Kingstown B/5 NO 46, soiled.